In an interview for Sky News, Nick urges MPs to compromise to ensure Brexit is delivered and discusses the possibility of a customs union. Today Britain was meant to leave the EU. But the House of Commons has just rejected the Withdrawal Agreement for a third time. I deeply regret this as I continue to believe that we should honour the referendum result by leaving the EU with a deal. I have now voted twice for the Prime Minister’s Brexit deal and I was extremely disappointed when it was once again voted down this week. I still believe that the referendum result must be honoured and that the right way to leave the EU is with a pragmatic deal. In his speech in the second meaningful vote debate Nick calls on MPs to choose pragmatism over ideological purity and vote for the deal. It wasn’t hard to be riled by President Macron’s portentous letter to the citizens of Europe this week. I choked no sooner than reaching his second sentence, which asserted that June’s elections for the European Parliament would be “decisive for the future of our continent”. Nick argues that whether it is called a ‘people’s vote’ or ‘confirmatory referendum’, holding a second referendum would be to disrespect the result of the first. Nick asks the Prime Minister to confirm that the EU previously revisited the Lisbon Treaty in response to democratic push-back in Ireland. Nick argues that MPs seriously wishing to deliver Brexit and avoid a no deal scenario need to come together around a deal, or else admit that they want a second referendum or to abandon Brexit altogether. Nick speaks in the House of Commons debates in the run up to the ‘Meaningful Vote’, and urges MPs from all sides of the debate to support the pragmatic exit offered by the Withdrawal Agreement. In his article for the West Sussex County Times, Worthing Herald & Chichester Observer, Nick backs Theresa May and explains why her Brexit deal is the best way forward for the country. In his article for the West Sussex County Times, Worthing Herald & Chichester Observer, Nick discusses his position on the Meaningful Vote, recent progress on improving local rail services, and his meeting with the Chief Executive of Gatwick Airport. In his article for the ConservativeHome website, Nick appeals to fellow Conservative MPs to support the Prime Minister’s deal with the EU, and argues that approving it in parliament is the best way to ensure that Brexit is delivered. Nick commends the Prime Minister on the Withdrawal Agreement, and asks her to confirm that the backstop is a pathway to future UK-EU trade deal, and not a state the UK can be ‘trapped’ in. Nick expresses support for the political declaration and withdrawal agreement following the Prime Minister’s statement in the Commons. In his article for the West Sussex County Times, Worthing Herald & Chichester Observer, Nick discusses the Brexit deal and support for the prime minister. Speaking after the Prime Minister’s statement in the Commons, Nick asks her to confirm that the future arrangement with the EU is the most important aspect of the plans outlined on 14 November. In his article for the West Sussex County Times, Worthing Herald & Chichester Observer, Nick explains the positive impact for Arundel and South Downs from the 2018 Budget. In his article for the West Sussex County Times, Worthing Herald & Chichester Observer, Nick expands his thoughts on a People’s Vote and the language used to describe the prime minister over the weekend. In his article for the West Sussex County Times, Worthing Herald & Chichester Observer, Nick discusses the Chequers plan for exiting the EU. Motions table assessing motions on the Order Paper for Monday 1 April 2019 against key criteria, with the Government’s deal included for comparison. 'Dear Colleague' letter that Nick received from the Attorney General on the legal effect of the Withdrawal Agreement. 'Dear Colleague' letter that Nick received from the Prime Minister on the proposed Withdrawal Agreement agreed with the leaders of the EU27 countries on Sunday 25 November 2018. 'Dear Colleague' letter that Nick received from the Attorney General regarding the White Paper proposal for a "common rule book" relating to trade in goods between the EU and the UK. 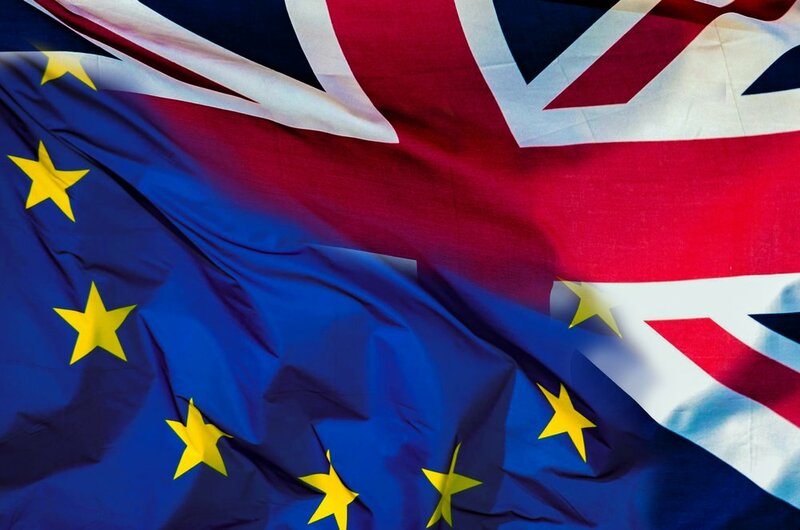 The Government has created a website 'Status of EU citizens in the UK: what you need to know' to provide information for EU citizens and their families about their future status in the UK. Department for Exiting the European Union's compendium on the progress of the Article 50 negotiations.